The piano player Achim Kaufmann is the recipient of one of the highest jazz awards in Europe for 2015 — Albert Mangelsdorf award. The reed player Gebhard Ullmann has been the recipient of many awards during his 30 years' career. Amazingly, these two great improvising artists have never played together before. They recorded in the beautiful chamber music hall of Berlin radio. The sound quality is fantastic and so is the music. 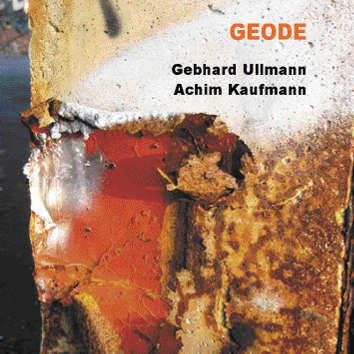 Don't be put off by the title: geode is a geological term — that's how deep the musicians have to dig to get to the truth.